Pacific Rim Business Consultants is proud to offer hundreds of different franchise opportunities to our potential clients. We are experts at helping you find a franchise that fits for you in Hawaii and beyond. Are you tired of working for the “Man?” …why not be your own boss? Go and come when you want and do something you really like to do! 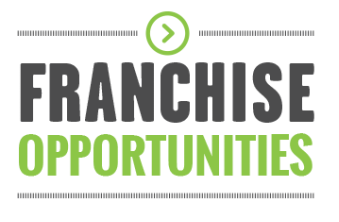 We offer many, many different franchise opportunities from fast food to construction. You will enjoy finding the one that fits for you by visiting Best Franchises. Here you can get a good idea what the franchise is all about. We are ready to assist you in the final selection and are happy to take questions about all types of franchising. Keep in mind that there is financing out there to help fulfill you dream. Call us so we can help match up the lender with you and the franchise you would like to own. Do you need assistance in Franchising your existing business? Pacific Rim Business Consultants can help you do this as well. When you have a good thing going, why not share it with the world? We can help that happen by moving you through the necessary steps to get it done. ​No matter what business you are in today, it is most likely to be able to franchise it. We have over 4000 franchises in the USA today and the list is growing every day. Large business or small it is the idea that counts. If you have a workable idea and proven its value you may be the very folks that we would like to talk to! Please get in touch with us so we can discuss how to get you started in Franchising.